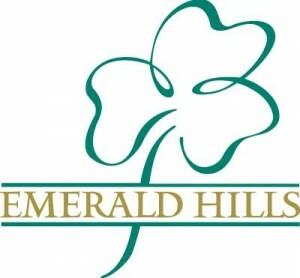 Emerald Hills ‹ Rovey Banquet Services Inc.
At 20,000 square feet, the recently renovated clubhouse of Emerald Hill Golf Club is an elegant venue for member functions, parties and weddings, especially with the spectacular view from the main dining room down on the verdant course. The private boardroom, perfect for meetings, features a walkout deck that also provides lovely views of the layout. Although it’s only 35 minutes from downtown Toronto and close to Highway 404, Emerald Hills makes you feel like you’re a world away from everything else. Stunning vistas, pristine grounds and the magnificent clubhouse make Emerald Hills the perfect venue for a magical wedding. Our talented team is happy to cater to your needs, whether it be a small, intimate gathering, or a grand and extravagant celebration, our main ballroom can host up to 200 guests. Outdoor venues, banquet facilities, our award-winning golf course and Signature Menus provide endless options for the perfect wedding location.